UVA graduate and esteemed filmmaker Colette Burson returns to Charlottesville with Permanent, her new film as writer and director. Permanent centers around a 13 year old and her family, a hairstyle gone incredibly wrong, and a young girl’s plight to fit in small town Virginia in 1983. 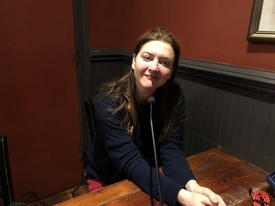 Burson, also the creator of Hung and The Riches, talks of her transition from the UVA drama department to writing and directing for stage, film, and TV.